Breast augmentation is a surgical procedure involving the placement of breast implants to increase the size and improve the shape of the breasts. According to the American Society of Plastic Surgeons, breast augmentation is one of the most commonly performed cosmetic surgeries in the United States. 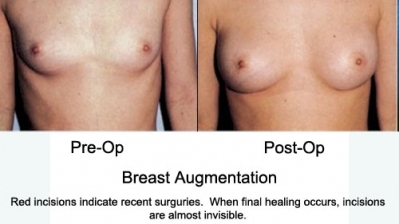 Our practice has successful experience with more than three thousand breast augmentation surgeries. Male to female transsexual patients usually get some breast development from long-term hormone therapy. Most usually develop an “A” cup size breast from this therapy, although occasionally the breasts can grow larger. 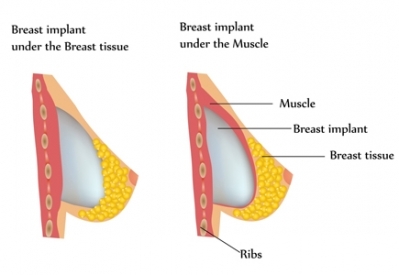 Those who desire a larger breast than hormones produce should explore having breast augmentation surgery, in which a breast implant (prosthesis) is inserted under the existing breast through an incision in the crease under the breast. We have a great deal of experience with each option and look forward to discussing all of the choices in order to help you decide which will be most beneficial for you. Breast augmentation surgery is performed on an out-patient basis in an ambulatory surgery center under local or general anesthesia. The surgery takes about one hour, the patient remains in the recovery room for one to two hours following surgery and is then discharged home or to one of the studio apartments at The Center. Sutures are removed in about 5 days. Most types of employment can be resumed in one week. strenuous physical activities such as exercise can be resumed after two weeks.